We welcome out-of-town patients! A growing number of Dr. Salemy’s patients fly in from all over the world for plastic surgery. 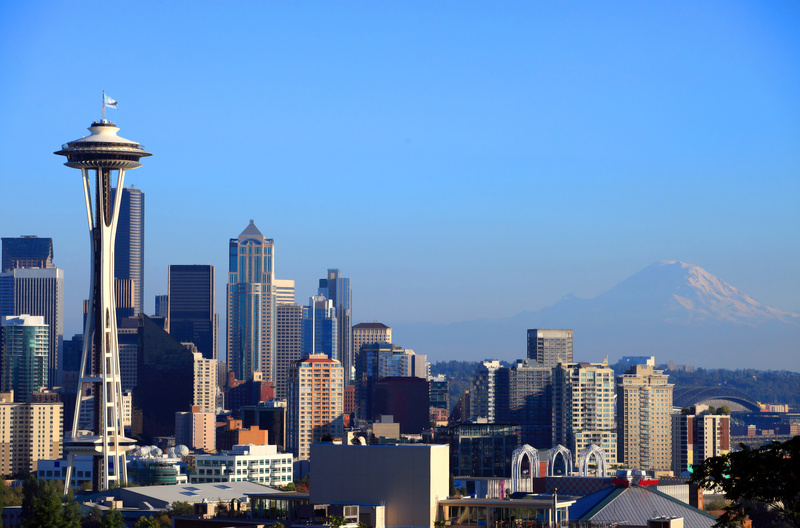 If you are considering traveling to Seattle to have a procedure done with Dr. Salemy, and don’t live in the area you may be interested in learning more about our process for out-of-town patients. If you’re unable to travel to Seattle for your consultation, we recommend a new patient phone interview with Dr. Salemy as a first step. Once you’ve set up your interview, you’ll receive an email link to complete New Patient Forms as well as photos if necessary. Dr. Salemy will speak with you personally to discuss your goals and desired outcomes, and our patient care coordinator will then follow up with a customized quote. To schedule a phone interview, please call our office at 206-467-1101206-467-1101. If you elect to travel to Seattle from out of town to have a procedure, there are a few important factors you will want to keep in mind. In addition to the initial new patient interview (which must be completed before scheduling), patients must arrive at least a weekday prior to surgery in order to have a pre-operative appointment. Another adult must accompany patients in order to provide care for at least the first 24 hours after surgery. Two weeks prior to surgery, patients will have a phone pre-operative consultation with one of our nurses to go over preparing for surgery, consent forms and ordering any necessary post-surgical garments. A packet of consent forms and other necessary documents will be mailed to the patient prior to the pre-operative nurse phone consultation. Finally, payment is due in full two weeks prior to surgery. Please click here to learn more about our payment options. Patients are discharged from surgery, same day, directly to the hotel they are staying in. Depending upon the procedure, patients should plan to stay in Seattle for up to a week in order to be seen by Dr. Salemy for post-operative appointments. Subsequent follow up appointments up to the first year are included in the cost and usually occur at six weeks, six months and one year. We are happy to extend a discount to patients of our practice at the historic boutique Sorrento Hotel across the street from our Seattle office. Prices vary from season to season. For other hotel options in the area please contact our patient care coordinator, Rebecca, at 206-436-3854206-436-3854 or [email protected]. Dr. Salemy sees prospective new clients for consultations and pre-operative appointments in Richland, Washington, one Friday every month or every other month. This allows patients in eastern Washington to be seen for a convenient consultation or a pre-operative appointment closer to home. Surgery is then performed in our private Seattle operating room and patients can drive home with their care taker three to seven days after their surgery. To schedule a new patient consultation with Dr. Salemy in Richland, WA, please call our Seattle office at 206-467-1101206-467-1101. Dr. Salemy’s office is located in the First Hill neighborhood of downtown Seattle, a twenty-minute cab ride from the Port of Seattle Sea-Tac Airport. All consultations, surgeries and follow-ups are conducted from our location in the Madison Medical Tower.